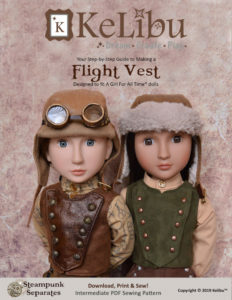 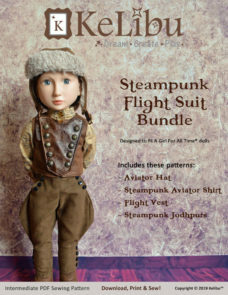 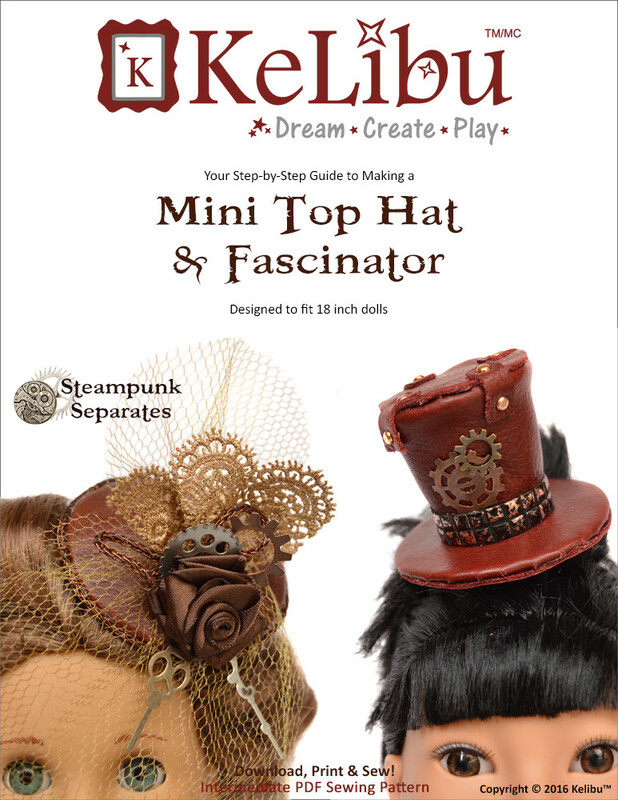 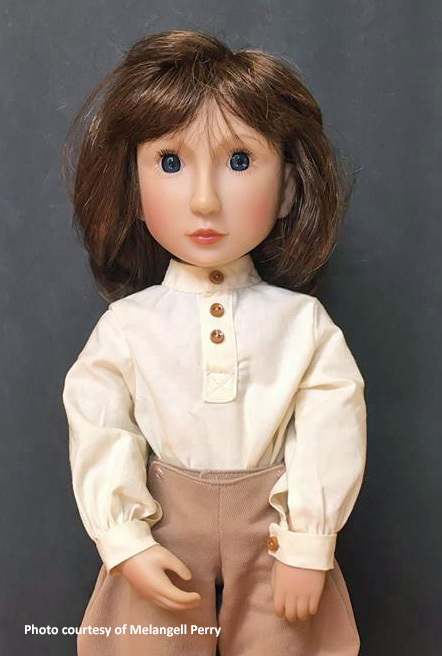 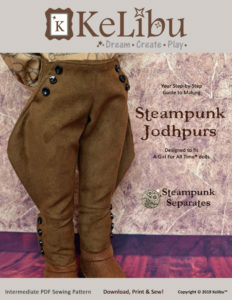 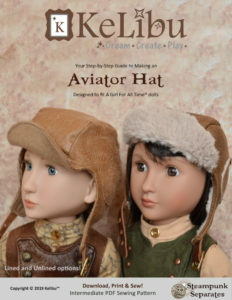 This PDF pattern will allow you to make a Steampunk Aviator Shirt for your A Girl For All Time® dolls. 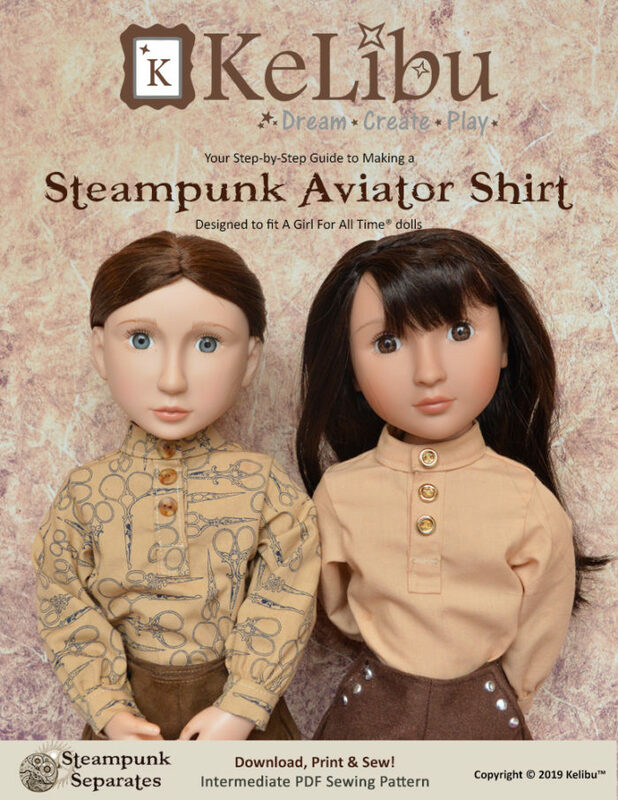 This shirt looks great under the Steampunk Flight Vest, but it also looks great on its own and can be paired with many different outfits. 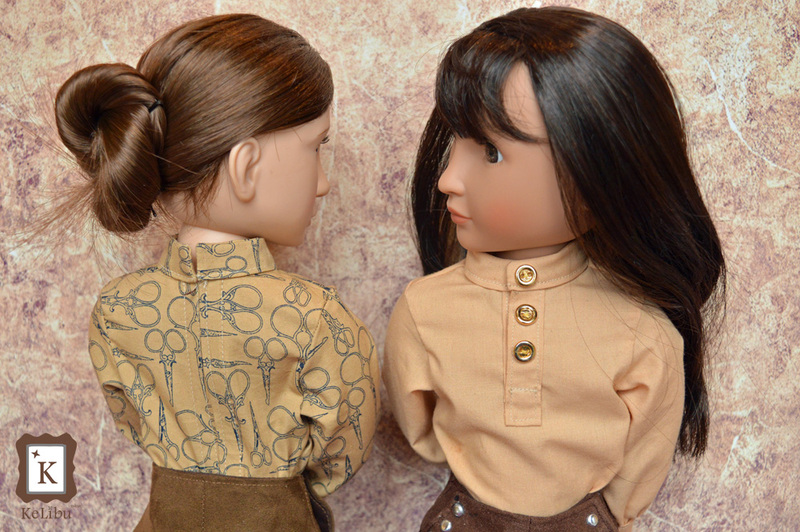 The collar and the partial front placket are inspired by Victorian men’s’ work shirts. 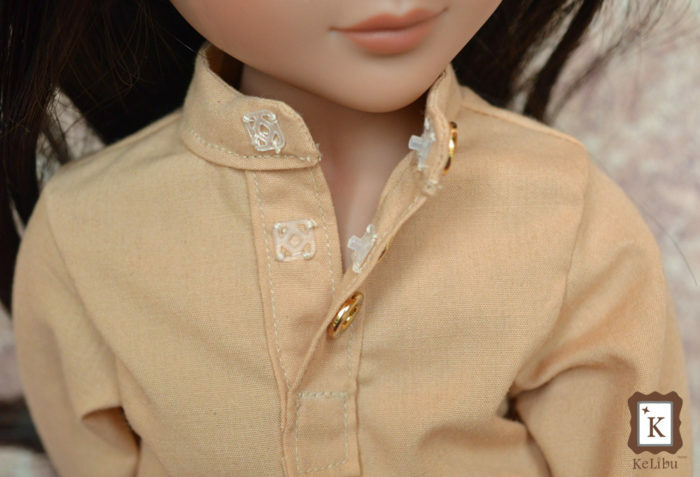 For ease of dressing, the shirt opens in the back and closes with a “zipper style” hook and loop closure, which eliminates overlap and bulk.